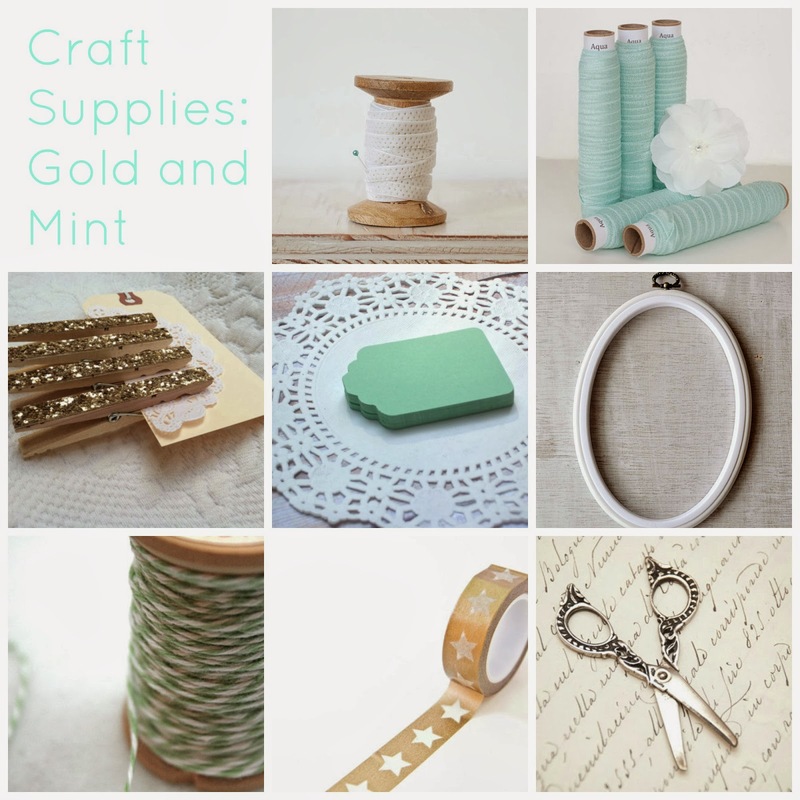 What are some crafting supplies that you cannot live without? You know, the ones that you always reach for when you're making that last minute gift? Here are a few that I am always digging for in my craft supplies. Ribbon: I love ribbon. You can use it for absolutely everything. I even save the ribbon off of paper shopping bags. This particular ribbon comes from the Anastasia Marie Shop on Etsy. She is actually the older sister of a friend of mine! If you haven't checked out her shop, I definitely recommend that you stop by. She has such awesome crafty goodies! Fold-over Elastic (FOE): I've only made one purchase of FOE and I bought a bunch at the same time. You know those cute little hair bands that you see at Anthro (3 for $12)? Well, I got enough to make a dozen headbands plus a gazillion little hair bands.....for less than that. Can't be beat, right? Clothespins: particularly those with glitter. Because glitter makes everything better right? Remember the autumn garland that I showed you? Having clothespins in my crafty bins came handy with a last minute project. But now I'm wishing I had glitter-ified them! Gift tags: Can't you see it? You're running out the door for a birthday with your quickly-put-together gift and realize there's no tag! Well guess what? PROBLEM. SOLVED. Decorative Embroidery Hoop: I have a bunch of little pretties all embroidered up and ready to be given as gifts. But just when I need them the most, I realize that I don't have any embroidery hoops except for the cheap plastic ones. It would be super handy to have a pretty one like this on hand. Baker's Twine: ahh. This really doesn't need a description. Everyone knows all the different things you can do with baker's twine, right? Wrap gifts and embroidery hoops, make Christmas trees.....the options are endless. Thread Scissors: for all those embroidery and sewing projects. And everything is better vintage right?